I first began budgeting a year ago. 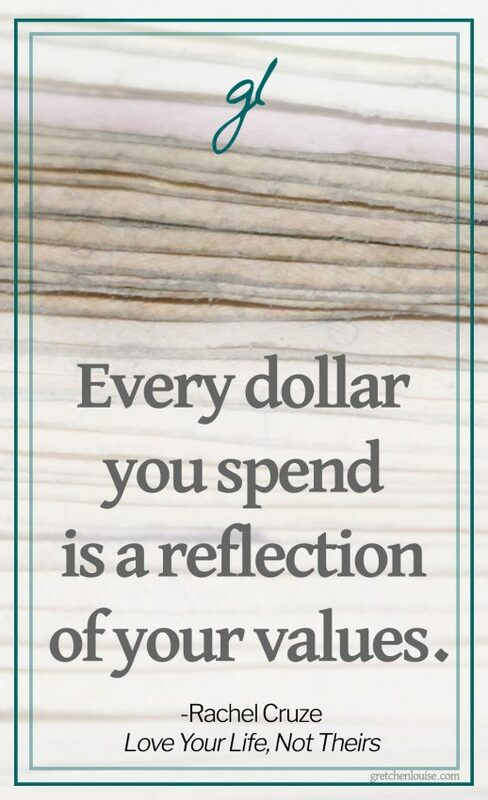 EveryDollar was the tool I chose, not just because of a friend’s recommendation, but also based on the simple fact that it is Dave Ramsey’s budget tool. The availability of a mobile app, plus a free version of the program itself, made EveryDollar seem like an ideal choice for a budgeting app. Now, I’m a newlywed living “on my own” for the first time–with a man who is very patient with my newfound fascination with charting housework and meal plans. Budgeting (even as a dual-income-no-kid couple) is a very real thing because we want to lay the foundation now for our money future. EveryDollar helps us do that in a variety of ways. Similar to the envelope system, EveryDollar organizes (one of my favorite words!) our money into categories. The set categories are Income, Giving, Savings, Housing, Transportation (which we use for our Fuel budget for both of our trucks), Food, Lifestyle (which we use for our Date Night and Discretionary Funds), Insurance & Tax, and Debt. I love that Giving is prioritized and Savings is strongly encouraged just by those categories being nestled at the top right after Income. My husband and I are blessed to have zero debt, so I sort of wish we could delete that category since we don’t use it, but the given categories are not deletable (at least as far as I know in the free version). I just choose to look at it as a monthly pat on the back that no money needs to go toward any debt! The one category I’ve added is Incidentals, for those things that simply don’t seem to fit into any other of the set categories: like the small countertop gas grill we purchased when a hurricane was coming through the county and we knew we’d probably lose power for several days. The categories provided by EveryDollar allows us to delineate exactly where each dollar of our income goes each month. One handy feature is that we can copy and paste our budget from one month to another with one click. This makes seeing our bills at a glance a cinch. My income as an author and freelance editor fluctuates each month, but I can easily update my income subcategory to reflect what client contracts I’m currently working on that month. Because we dedicate every dollar to a category, we zero out our budget each month and never have to wonder where any of our money went. This process would probably be even simpler if we upgraded. Currently my husband and I use the free version of EveryDollar, but EveryDollar Plus has the “FastTrack” capability of syncing to your bank account. I hear that is helpful because you just log in and drag transactions to the correct categories. This feature isn’t incentive enough for us to pay $99/year for EveryDollar Plus at this point. Besides, I actually enjoy playing bookkeeper and entering our receipts. I look over our bank account once a week to make sure I’ve caught everything. One of the first things I fell in love with about EveryDollar is that it is not only available on your desktop, it’s a digital app, too. So if the receipt machine was out of paper when I fueled up and I’m unable to slip the receipt into my purse for entering into EveryDollar when I have a chunk of time later (as is my habit), I can pull out the app and enter the transaction amount immediately when I’m getting back in my truck. Unfortunately, you can only associate one email address with each EveryDollar account, so this means my husband and I have to use the email address I set it up with before I got married–and remember a joint password. Sometimes I get logged out on my phone if he’s logged in on his tablet. This can be tricky, but I like to think of it as good marriage communication practice. I recommend EveryDollar to everyone with whom I get into a budget conversation: from young singles just beginning their relationship with money to couples searching for a way to merge their money and set up their future. EveryDollar is a great tool that simplifies budgeting in an easy and accessible way. P.S. Check out Gretchen’s review of Love Your Life, Not Theirs by Dave Ramsey’s daughter Rachel Cruze. And be sure to subscribe to the great tips at the EveryDollar blog, too! Rachelle Rea Cobb is a freelance editor and the author of Write Well and the Steadfast Love series, three historical inspirational novels that she signed a publishing contract for five months after her college graduation. Before Book One had even released, she met a man with the same name as her series’ hero--last summer, she married him. Both homeschool grads, they live in their newlywed nest in a corner of the South where the air is slightly salty. Rachelle enjoys blogging, Oreos, and pretending she’ll one day see the bottom of her to-read pile. Thank you, Rachelle, for sharing your EveryDollar experience with us. It’s so encouraging to see a young couple making smart money choices from the beginning!